Kona Historical Society Executive Director Joy Holland and Kona Historical Society Development Associate Dance Aoki hold a check donated by the West Hawaii Association of Realtors during the WHAR Annual Membership Meeting on Dec. 1, 2017, at Sam Choy’s Kai Lanai. Courtesy photo. 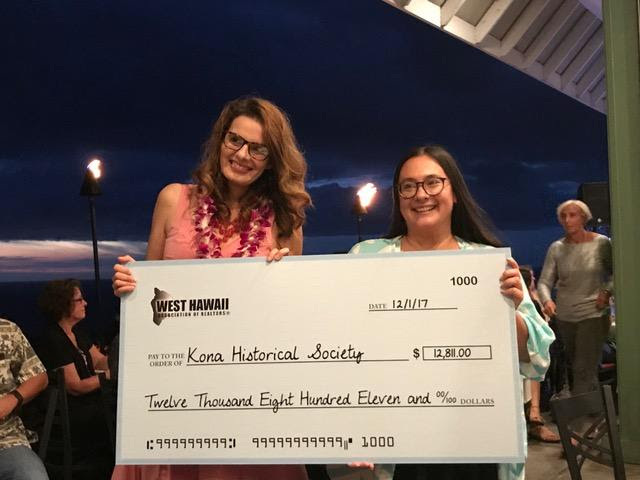 The West Hawaii Association of Realtors raised $12,811 for the Kona Historical Society as part of its 2017 campaign to support a Charity of Choice. Association President Mike Drutar presented Kona Historical Society Executive Director Joy Holland and Development Associate Dance Aoki with a check for the total amount raised during the Association’s Annual Membership Meeting on Dec. 1, 2017, at Sam Choy’s Kai Lanai. The first event organized by the association to benefit Kona Historical Society as WHAR’s Charity of Choice was a Golf Tournament and Luncheon Fundraiser held at The Club at Hokuli‘a on September 11, 2017, where more than 80 golfers participated in the tournament for this charitable cause. The Club at Hokuli‘a generously contributed to the fundraiser through the Community Play program. 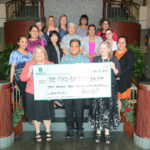 Hokuli‘a’s Community Play program provides an opportunity for a local charity to hold a fundraising golf tournament at its private, Jack Nicklaus-designed golf course. Following the tournament, the association participated in a silent auction of rare, large-scale canvas photo prints from Kona Historical Society’s private archive, as well as an East Indian Rosewood dining table with renowned Hawai‘i historical provenance. For the better part of 2017, Fundraising Committee Chairwoman Linda Swanson, Association Executive Karin Shaw and WHAR President Mike Drutar devoted their time, energy and leadership to this year-long fundraising campaign. 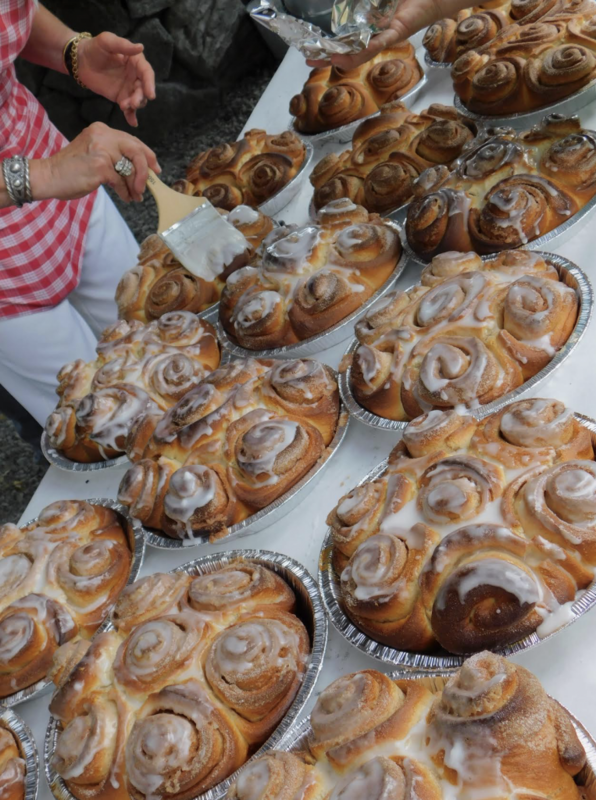 In addition to the golf tournament, members of the association became Kona Historical Society members, and encouraged their friends and family to join KHS through a membership drive. KHS welcomed more than 70 new members thanks to the efforts of the West Hawaii Association of Realtors. West Hawaii Association of REALTORS (WHAR) is a nonprofit voluntary professional association of real estate licensees primarily spanning the West Hawai‘i area of the Big Island of Hawai‘i, from Hawi at the northern end of the island to Na‘alehu at the southern end. 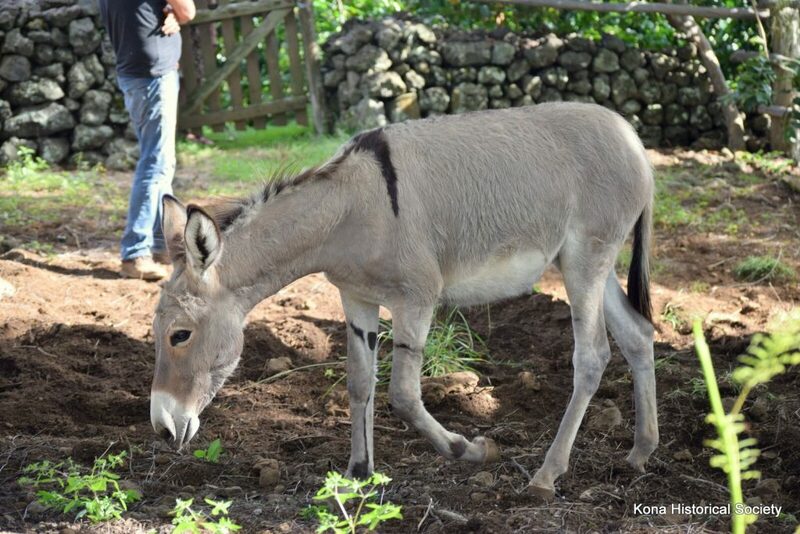 The Kona Historical Society is a community-based, 501(c)(3) nonprofit organization and Smithsonian Museum affiliate that has spent the past four decades collecting, preserving and sharing the history of the Kona districts and their rich cultural heritage within Hawaii. 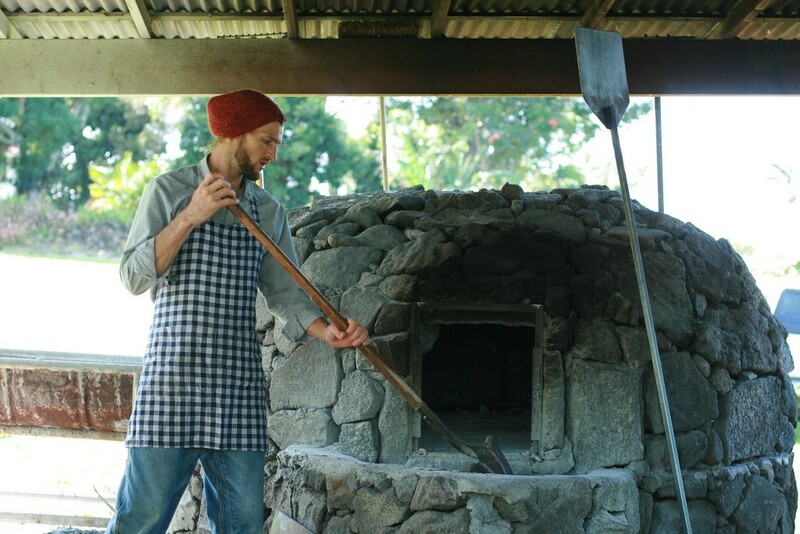 For more information, call Kona Historical Society at (808) 323-3222 or visit www.konahistorical.org. To get the latest updates regarding Kona Historical Society programs, historic sites and special events, “LIKE” Kona Historical Society on Facebook.